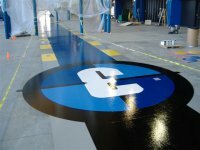 ​ With over 30 years of experience, FlorLine Group is a recognized leader in the application of industrial flooring, coating, and lining systems. We have installed over 50 million square feet of protective flooring and coating for industries of all types. Having served companies like KRAFT, Nestle, Blue Apron, Facebook and Pfizer, FlorLine Group is a name you can trust. The right flooring, when properly installed, minimizes downtime, maximizes productivity and helps ensure regulatory compliance and plant safety. 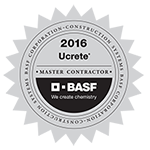 Whether you are building new construction or need work on your current floor, we have a solution for you. Since 1985, we have continued to evolve as the industry has grown to ensure we are providing the highest quality products, technologies and equipment for your projects. As a family-owned, family-run business, we are committed to exceeding your expectations on both project completion and quality. Contact our team today to learn more about what we can do for you. We look forward to serving you! "Your downtime is our worktime."